A deliciously refreshing summer Strawberry Banana Chai Smoothie. 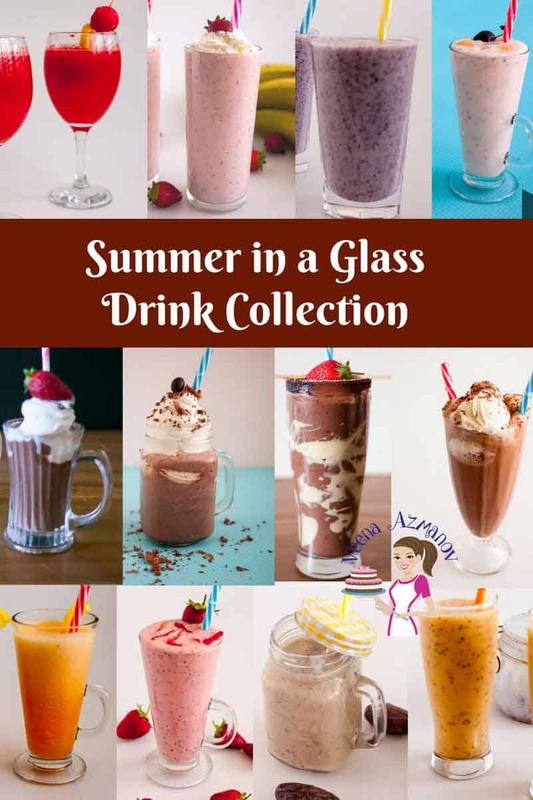 It’s packed with plenty of fruit nutrition and loads of chia energy to boost that summer tiredness and dehydration. I always feel like I need to clone my self in summer! The kids are always so excited about everything. And no it’s not sugar it’s just the warm summer and the ability to do so much more, unlike winter. I always have chia seeds but in summer I feel like I have to double up. Why? I do believe chia is so good for you and I’ve read so much of good stuff on online that really has made it a must have every day! If you google benefits of chia – there is so much more to read! Here’s just what fascinates me about chia. Did you know that the word Chia means energy in the Mayan language? Back in the day, Aztec warriors ate chia seed to give them high energy and endurance. It was said one spoonful of chia could sustain them for 24 hours. It was also known as runners food because runners and warriors would use them as fuel while running long distances. Chia seeds are an excellent source of omega-3 fatty acids which help to raise HDL cholesterol. HDL is the good cholesterol that protects again heat attacks, and stroke. Chia seeds are also rich in antioxidants, and they provide fiber, iron, and calcium. Protein Powder – This is optional. Sometimes I use and sometimes I do without. Today I have not used any protein powder for this one but I often buy either whey, hemp or pea. the choices are plenty and you can choose whichever suits your diet. I think you going to love this and some of the others I want to share with you soon. Place chia seeds in a small mason jar with 1 cup water. Close the jar and give it a good shake. This will help them revive much faster. Let sit for about 10 to 15 mins until bloomed. 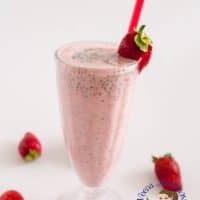 Blend the remaining ingredients – strawberry banana, milk, protein powder and ice until smooth. It will be really thick at this point. Add in the bloomed chia mix. A deliciously refreshing summer Strawberry Banana Chai Smoothie. 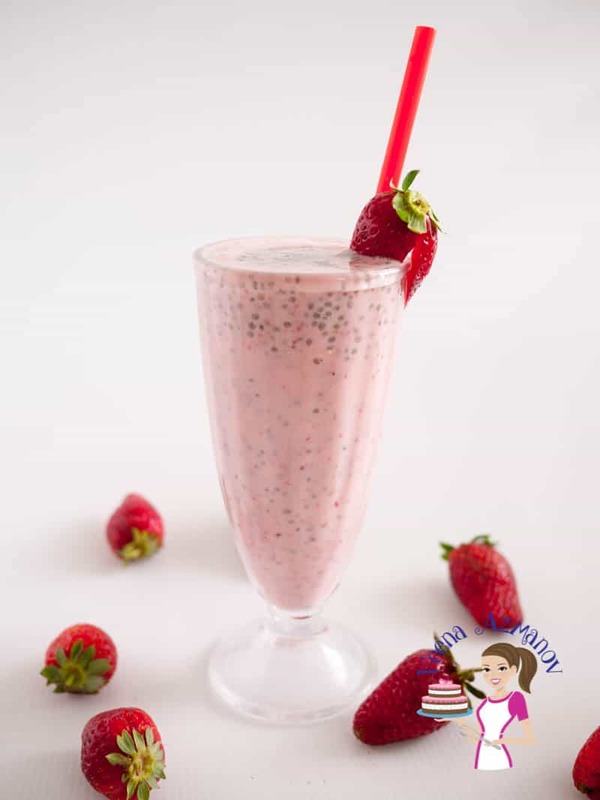 It's packed with plenty of fruit nutrition and loads of chia energy to boost that summer tiredness and dehydration. Place chia seeds in a small mason jar with the water. Blend the remaining ingredients - strawberry banana, milk, protein powder and ice until smooth. I love my smoothies on busy mornings! This one looks delish! I start every day with a smoothie and am always on the look out for great healthy smoothie ideas! 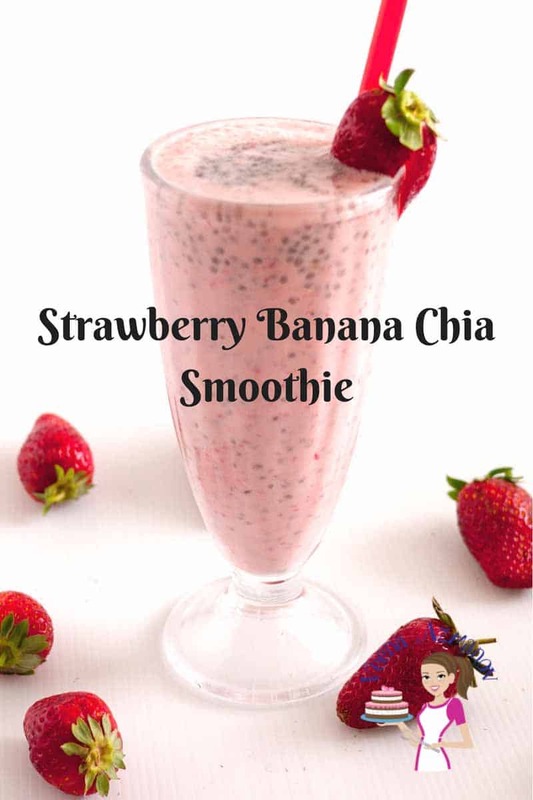 I’ve never used chia seeds in a smoothie but it’s obviously a great idea! Going to try this recipe out! Thank you, Jacqueline. Yes, we love smoothies too. Great recipe. I’m wondering what happens if I don’t drink the shake immediately. Will it turn into a thick pudding because of the chia seeds? With this amount, not very thick but yes thicker as the chia seeds swell up and absorb all the moisture. Thanks Emily. I love adding chia seeds to a smoothie for a protein boost. This sounds delicious. 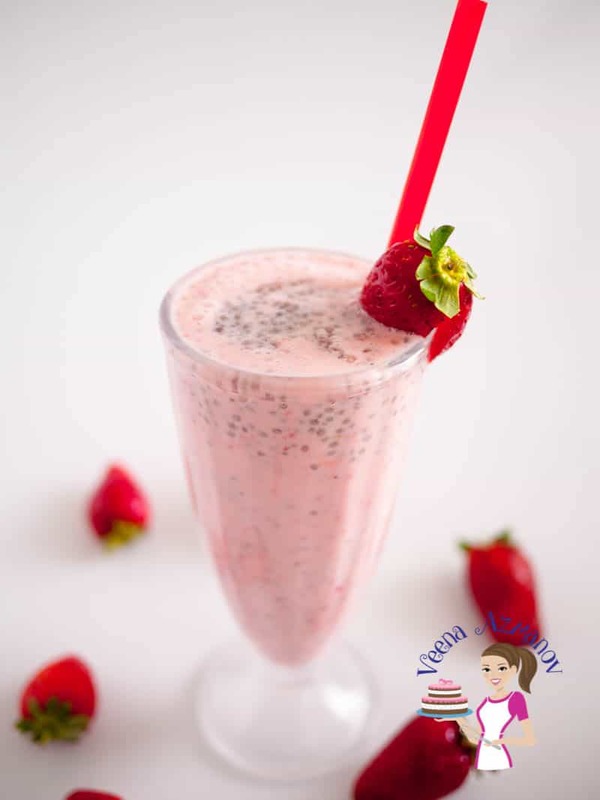 I have never thought of making a smoothie with chia seeds! Looks like a sweet treat and adding protein would be perfect! 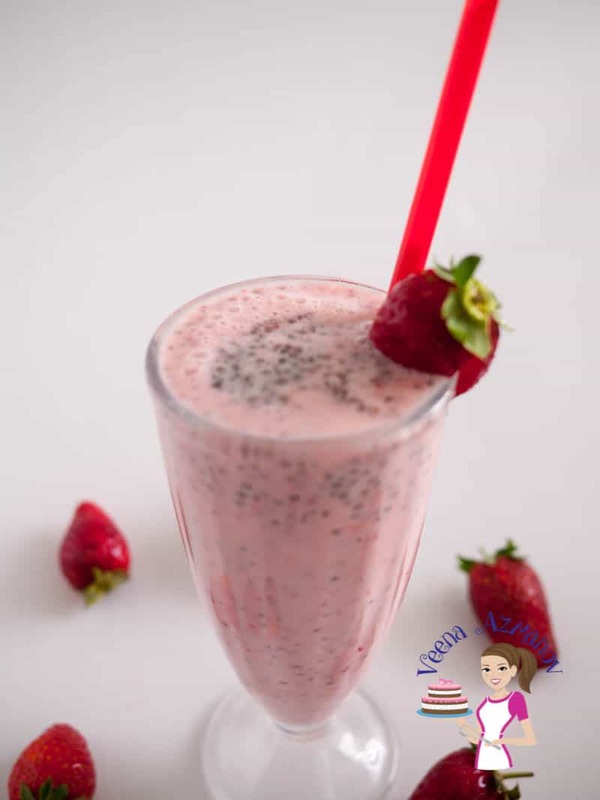 Chia seeds are so great on their own but also work as a great thickening agent so the smoothie becomes thick and wonderful. Wow.. This is the best thing to try for this Summer. Thanks for sharing this. I never knew chia meant “energy.” It makes a lot of sense! I eat a ton of chia but I’ve never put it in a smoothie believe it or not. I certainly will now – thank you for the recipe idea! You are very welcome Stephaine. I love chia in my smoothie and jellies too! There is so much great info about chia in this post! I always knew chia seeds are superfood but not exact the extent to it… wow, think I will grab a handful now lol. 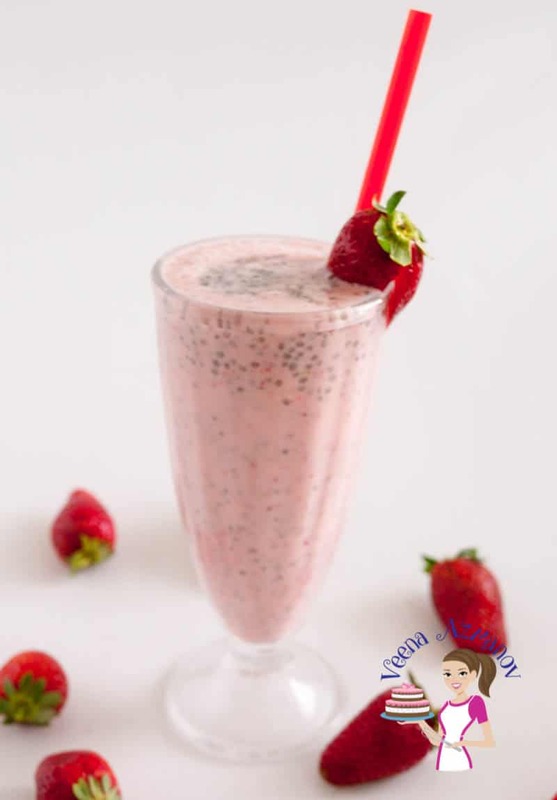 The strawberry chia smoothie is such a great tasty drink for anytime but specially as the weather gets warm, and yes, most of us loose a bit of appetite. Thanks Silvia. You think like me.!! 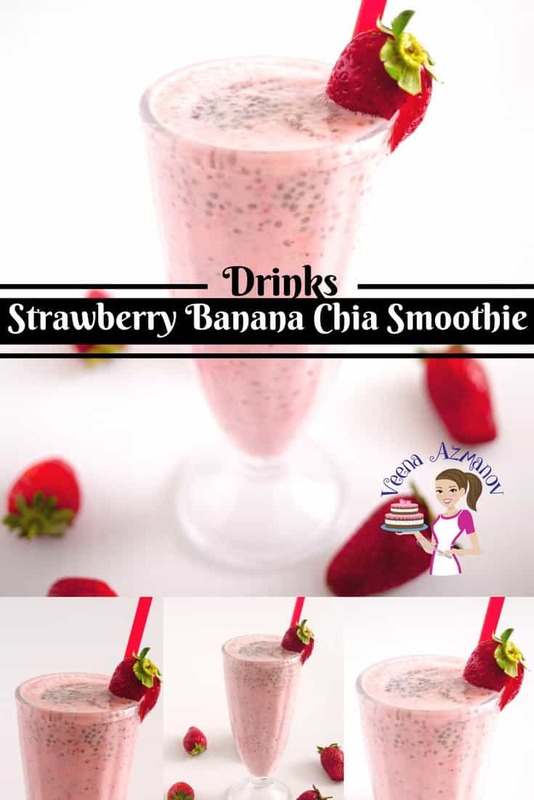 This looks great, I love the little specks of chia seed in the smoothie. Great way to start the day! Sure is a great start or anytime of the day Dahn. I’m so excited that it’s smoothie weather again!!! This chai smoothie sounds amazing. I LOVE any smoothie with bananas in it! Me too Lix.. Love smoothie anytime.